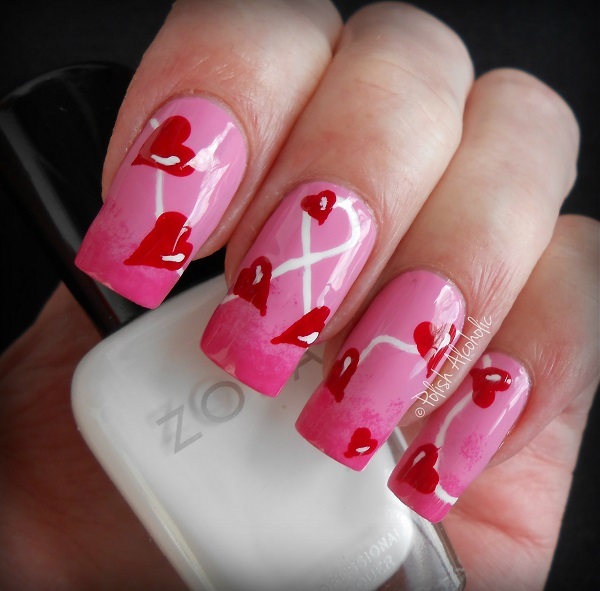 [CLOSED] Valentine’s Day Nail Art Contest! Luchessa and I have joined forces together and came up with a fun nail art contest! Since Valentine’s Day is right around the corner we’ve decided that that is the theme of this contest: Valentine’s Day! There are no strict rules but your creation needs to be made with at least three different colors. If you use stamping gear, acrylic paint, rhinestones or any other kind of nail supplies is totally up to you. I’m so excited to see all your creations! Please add your creation to the collection by clicking on the cute blue guy below so that everyone can admire your works of art. 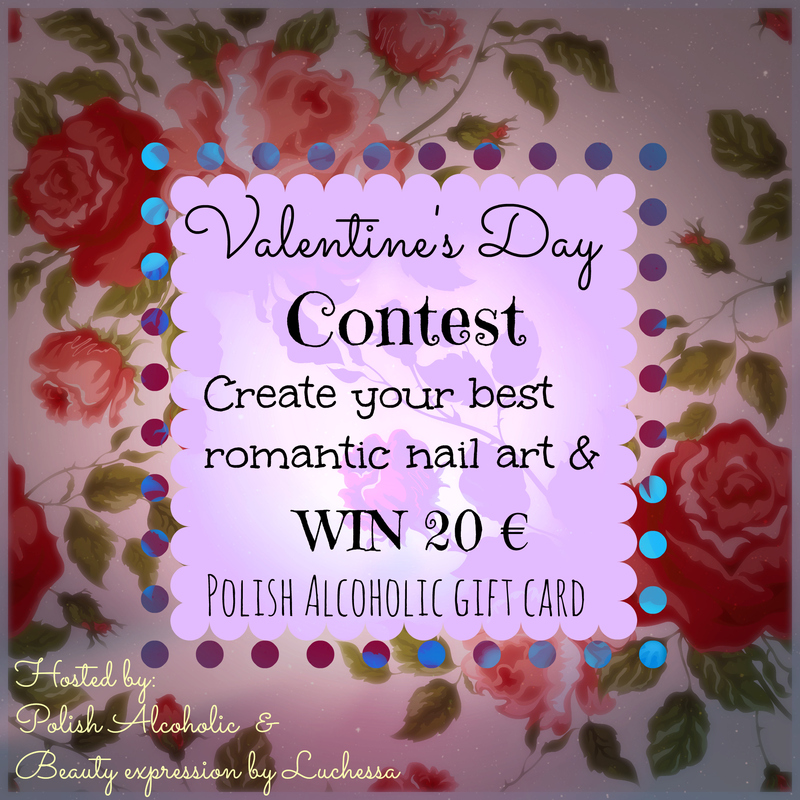 This entry was posted in Giveaway, Nail Art and tagged nail art, valentines day by Polish Alcoholic. Bookmark the permalink. Wat leuk! Ik zou graag mee willen doen, maar ben niet meer zo actief met mijn blog. Is er een andere manier waarop ik een foto zou kunnen insturen? You should get better 😉 hehe can you give me you twitter name? Great mani. I’ll have to come up with something to participate! 🙂 I love nail contests! I knew we could count you in 😀 Can’t wait to see what you come up with! Thanks so much! Hope you’re joining too!